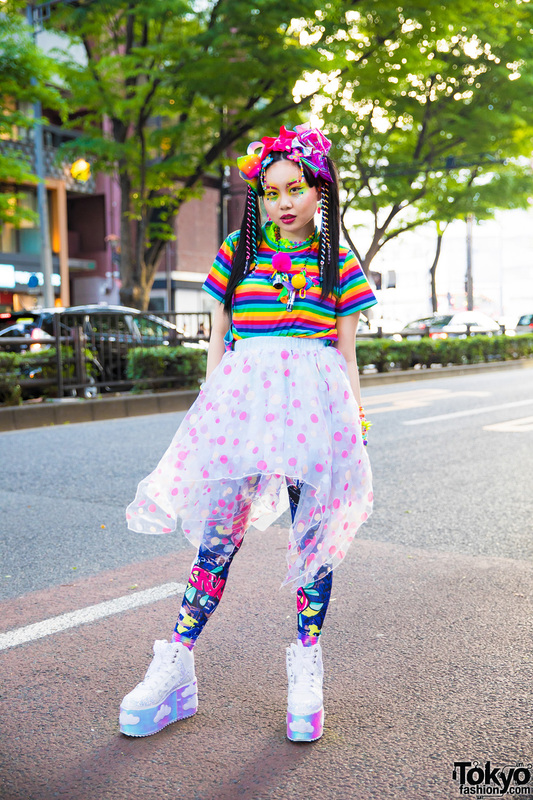 Japanese art student in colorful kawaii street fashion. 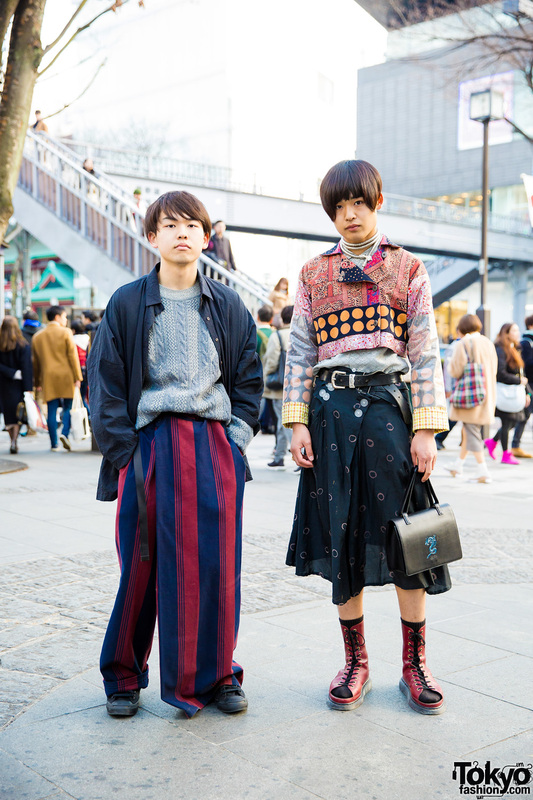 Harajuku girls sporting interesting outfits while out and about on the street. Harajuku girl wearing an oversized blazer, turtleneck, polka dot skirt, platform bow shoes and polka dot sling bag. 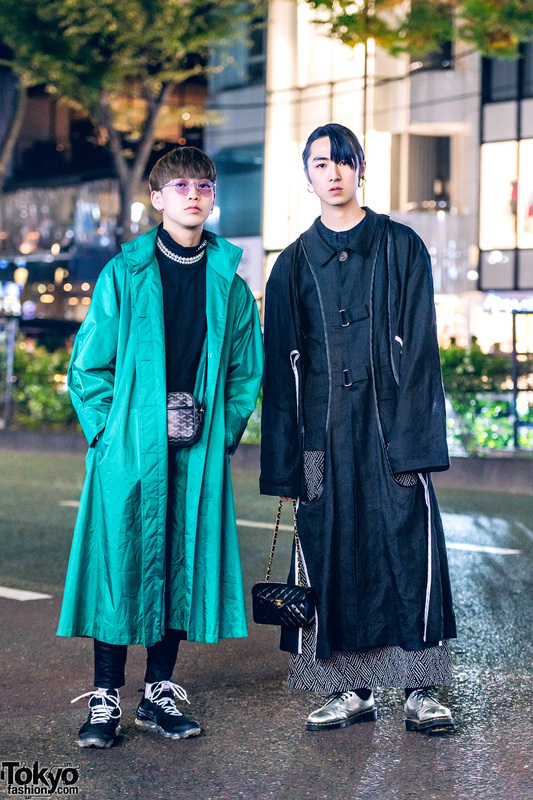 Harajuku guys dressed in fashion streetwear while out on the streets. Pink-haired Harajuku girl in pink, blue and white fashion style while out on the street one late afternoon.